Welcome to November Pick 3! 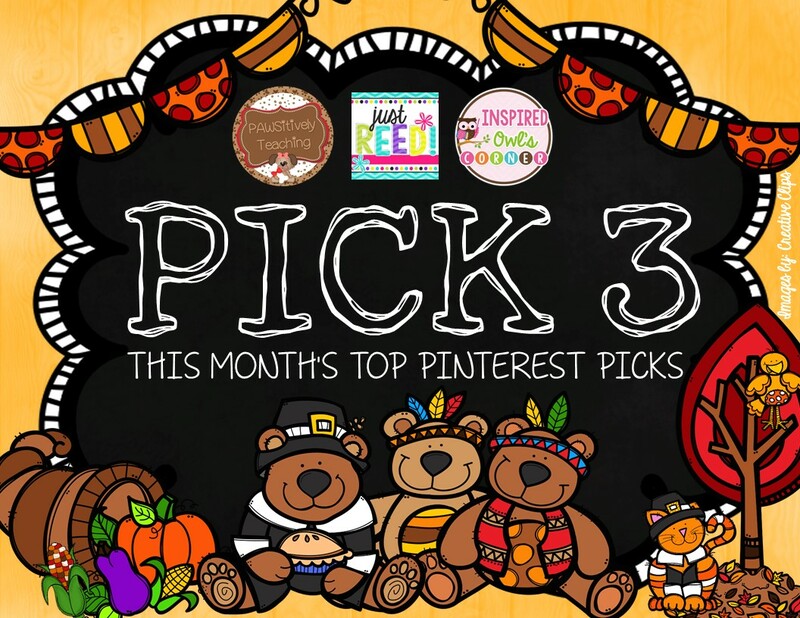 Lisa and I are excited to have a new co-host join us for our monthly Pinterest Pick 3 Linky Party! Ashley from Just Reed will be co-hosting with us beginning this month! 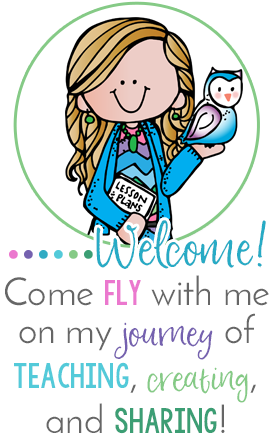 Stop by her blog and say hi! I will be honest...November isn't one of my favorite months! I'm not sure exactly why, but maybe I want to skip to the excitement of December and Christmas? Pinterest is definitely helping me to get excited about this month, and I found some great inspiration! There are so many fun ideas for November and Thanksgiving! First up are these candy corn catapults. When I first saw them, I immediately thought "STEM project"! My kiddos would love the challenge of trying to make one of these catapults from common household items. I have tons of candy corn left, and I don't know what I'm going to do with it, so this would be a fun educational November project! I also found a wonderful STEM journal freebie that you can download here! I think it would be great to add a measurement component to this project. Students could measure how many inches, feet, and yards their candy corns flew! 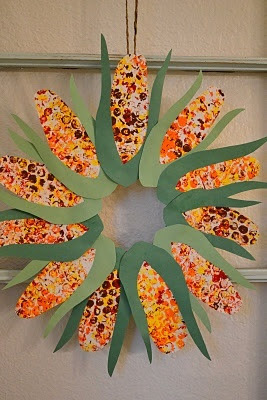 I thought these corn wreaths painted using bubble wrap were adorable! They would make such a cute decoration for our Thanksgiving feast! They look simple to make, but I might need a few parent helpers to hot glue the corn cobs to the cardboard center. They would be cute to decorate the classroom or students' homes. This last pin is my favorite! 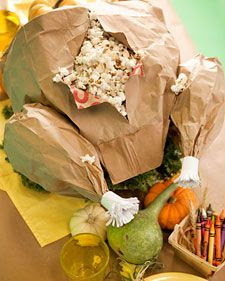 I would love to make these popcorn filled turkeys for each table group at our Thanksgiving feast. They would make cute centerpieces at home, too. The kids would go crazy once they realized there is popcorn inside! Just so cute! Pinterst Picks for the month. 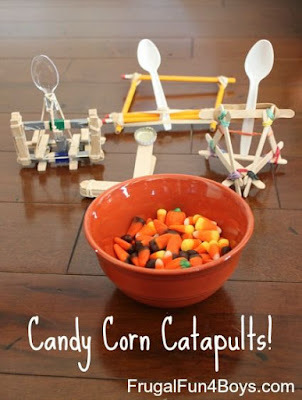 I LOVE that candy corn catapult idea! My 8 year old will enjoy making one of those! Thanks for sharing! The popcorn stuffed turkey looks so fun! I can't wait to see pictures of it in your class. The candy corn catapult idea would be great for this time of year also! Thanks for always sharing such great ideas! Oh my at the cuteness of that stuffed turkey!! LOVE IT! And the Indian corn wreath would be precious on my door. Thanks for the privilege of hosting the linky with you fabulous girls! Oh I LOVE the corn wreaths! Super cute! Thank you so much for hosting!!! I always enjoy linking up. Woah! Candy corn catapults! How fun is that!?? I love all of your pins! Such creative ideas to keep the kids interested as the holidays approach! Thanks for hosting this awesome link up! The popcorn turkey is such a great idea! I want to do that! The popcorn turkey is fabulous! This would be a great decoration for the kids table at Thanksgiving. Oh my! I love the popcorn turkey! 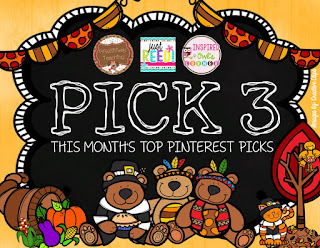 Thank you so much for the great pins and for hosting this great link up each month! Love the popcorn turkey and the corn wreath!